We recently finished the website design and deployment for the WATT Commercial Development Project titled “The Vale”. 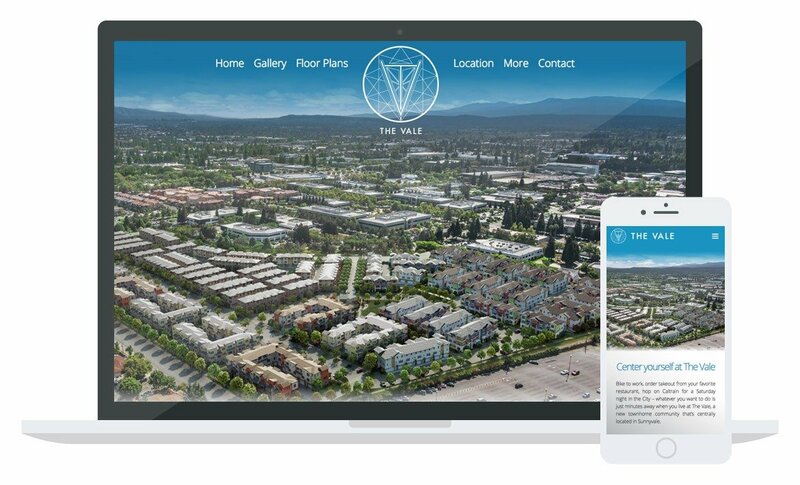 This website showcases the forthcoming community located in Sunnyvale, CA. The web design is elegant with a clean user interface which integrates a responsive design to accommodate all browsing platforms including smart phones, tablets, laptops, and desktops. This custom website is built on WordPress and incorporates a list of fancy features including a tailored Google Map showing off The Vale’s neighbors and the driving distances to each destination. Another feature to note is the expandable “hero” images on the interior pages.